Association for Medical Ethics President Scott Lederhaus, M.D., testified at the Senate Finance Committee’s hearing on physician owned distributorships titled “Physician Owned Distributors: Are They Harmful to Patients and Payers?” held on Tuesday, November 17, in Room 215 of the Dirksen Senate Office Building. 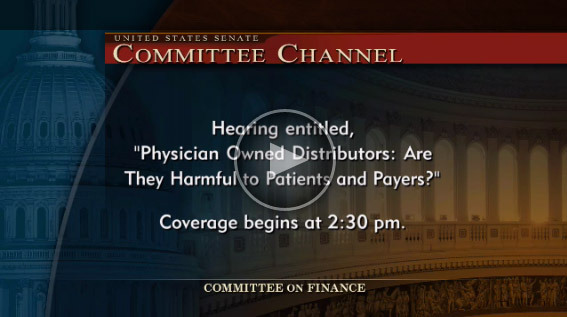 Senate Finance Committee Chairman Orrin Hatch (R-Utah) and Ranking Member Ron Wyden (D-Ore.) held the meeting to explore how through physician owned distributorships (POD) physicians receive revenue from the sale of medical devices they prescribe to patients. 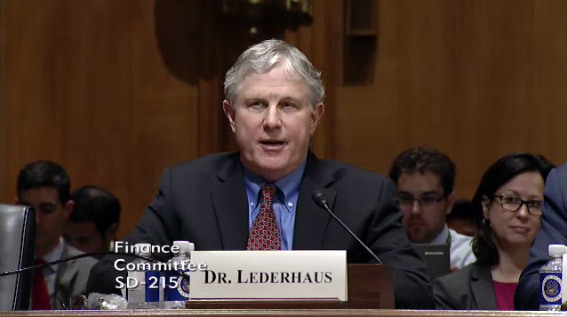 Dr. Lederhaus’ written testimony and a video of the hearing is available online at http://www.finance.senate.gov/hearings/hearing/?id=7b1db53c-5056-a055-6438-e084d63f6fc9. Dr. Lederhaus has long been a vocal critic of PODs and their pervasive effect on patients, physicians and the medical community. A POD is an entity whereby the physician purchases an ownership in a medical device or implant company. The POD buys the implants wholesale and then sells those implants to the hospital at retail. The physician then inserts the POD implants into their patients, and the physician and POD organizers pocket the difference. The physician, in effect, becomes a salesman. It also has been found that a physician is more apt to implant excessive hardware for the sake of enhancing income when using implants the surgeon owns. The Office of Inspector General estimated 20 percent of all spinal fusion operations done in 2011 used POD implants.